Your credit score is a number that indicates how creditworthy you are as a consumer: how likely you are to pay your bills on time, how good you are with paying back loans, and how responsible you are with your finances in general. In the US, when most people think of a credit score, they think of their FICO score or the number calculated by FICO (or the Fair Isaac Corporation). This number is based on a few different factors, including your payment history for things like bills and loans, how much debt you currently carry, the types of credit and debt you have, and how long you’ve been a financially responsible consumer. FICO scores are between 300 and 850; the higher your own number, the more creditworthy you are considered. If you have a FICO score of over 750, you’re really in excellent shape credit-wise, whereas if your score is under 600, you’re getting into numbers that are considered low. As with any score, you want yours to be as high as possible, and one of the biggest things you can do to increase your FICO score is simply to pay all of your bills on time. 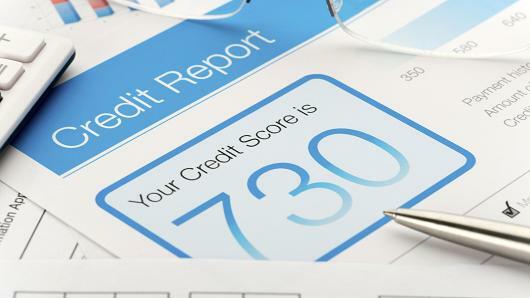 Your credit score may seem like just a number, but believe it or not, these few digits can have a significant influence over a surprising number of things and that’s why firms like Lexington law offer credit repair services. Here are five ways a good credit score can positively impact your life. You’ll have lower interest rates on everything. From mortgages to car loans to home equity loans to student loans, if your credit score is high, you’re seen as less of a risk, and lending institutions will loan you money at lower rates. What’s more, if you have a good credit score, you’ve got a lot more leverage if you want to negotiate for a lower interest rate. You’ve proved that you’re a good and trustworthy customer, but also, you’ll probably have offers from several lenders who want your business. If you bring up this competition, you’ll be able to get the lowest possible rate. You’ll pay lower insurance premiums. Insurance algorithms are tricky, but according to insurance providers, there’s a direct correlation between credit score and a customer’s likelihood of filing a claim: the higher your score, the less likely you are. If an insurance company thinks you’re less likely to file a claim, you’ll pay less in premiums. While laws in some US states prohibit insurance companies from using credit scores as a factor in determining premiums, the majority of states have no such legislation. The credit score-premium connection is especially the case for auto insurance, but also applies to homeowners insurance and, to a lesser extent, life insurance. Your credit score may not directly affect the premiums on any life insurance policies you may take out, but factors related to a low credit score probably will, such as filing for bankruptcy or waiting until very late in life to take out a policy. You’ll enjoy higher borrowing limits. If you’re not seen as a borrowing risk, all sorts of lenders, from banks to credit card companies and just about anyone else, will be willing to extend a higher line of credit to you. This means several financial advantages, such as a bigger mortgage to buy your dream home, a higher limit on your credit cards in case of emergencies (or if you really want to take advantage of credit card rewards programs), and much more. Just be sure to pay your loans back on time and in full to maintain your outstanding high credit score. You won’t have to pay security deposits for most things. If your credit score is low, you may have to demonstrate that you’re a responsible consumer by putting down a security deposit on everything from turning on the electricity in a new residence to getting a mobile phone with a contract. (Also, when it comes to mobile phones, a low credit score means fewer plan options at higher costs.) If, on the other hand, your credit score is good, you’ve already demonstrated that you’re a responsible consumer, and you won’t have to pay these deposits. And while you’ll probably still need to put down a deposit on a rental house or apartment, you’ll probably drop the minimum amount and will pay your monthly rent as you go. A person with a low credit score, on the other hand, will often have to pay the first and last month’s rent upfront. You’re more likely to get that job. This is sort of a controversial issue, since a lot of people believe that employers have no business poking around in a prospective employee’s financials. However, some employers will run a credit check on a job candidate before extending an offer. While they won’t see your actual credit score, they will see your credit report, which contains similar information about your creditworthiness. A low credit score means that your credit report probably has some black marks on it or otherwise indicates that you’re not responsible with your financial responsibilities. If that’s the case, an employer may not see you in a favorable enough light to hire you, since employees who deal with financial instability are often more stressed than those who don’t, and this can lead to poor job performance. All other things being equal, most employers will choose the candidate with the cleaner credit report.